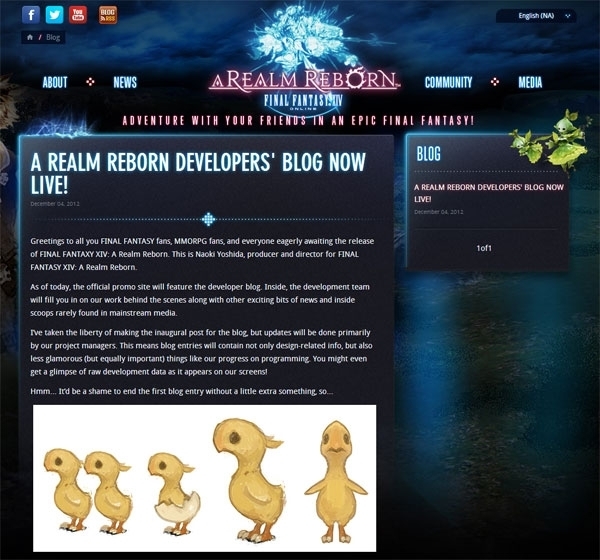 Square Enix has just launched a Developers' Blog for Final Fantasy XIV. Greetings to all you FINAL FANTASY fans, MMORPG fans, and everyone eagerly awaiting the release of FINAL FANTAXY XIV: A Realm Reborn. This is Naoki Yoshida, producer and director for FINAL FANTASY XIV: A Realm Reborn. As of today, the official promo site will feature the developer blog. Inside, the development team will fill you in on our work behind the scenes along with other exciting bits of news and inside scoops rarely found in mainstream media. Check out the blog for yourself here.